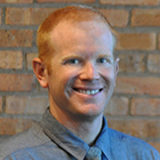 Dr. Jason Fennema has spent his entire ten year career with Ravenswood Health & Wellness Center. Although originally a small, humble storefront practice on Irving Park Road, the vision for a bigger and more dynamic wellness center has been there from the beginning. Dr. Fennema understood early on that people in today’s healthcare marketplace are looking for true solutions to their problems, not quick fixes or bandaids. As a result, his vision led RHWC to become a leading comprehensive wellness facility that combines objective measurements and processes to effectively evaluate and treat a wide array of conditions. Dr. Fennema is passionate about spinal rehab through Chiropractic, about getting sick and unhealthy people well without reliance on unnecessary medications, and about truly leading people to a wellness lifestyle. As a father of two young children he also understands the importance of helping children achieve their innate health potential by emphasizing postural development, proper movement, and healthy nutrition. Dr. Fennema sees the creation of healthy habits early in life as a long-term solution for many of our country’s serious health challenges. His passions away from the office center around his wife Erin and two children Landon and Audrey; there is nothing more important than family. Dr. Fennema played competitive soccer most his life, including two years at the University of Minnesota, is an avid golfer and downhill skier, has run the Chicago Marathon, and recently summited Mt. Rainier for the first time.